Would you like to join our association? We break up membership into two categories. We have listed basic information for each along with a link to apply. If you have any questions please hop back over to the home page and connect with any of our Board of Directors. Additionally, we have listed participating Member Hospitals. Our meetings are held on the second Tuesday of every month at 2:00pm. Elected officers serve a two-year term. Membership dues are collected annually from members as well as institutional members that support the health care recruitment community. Applicant for membership must be employed by a greater Kansas City area acute care hospital or medical center, or a member of the armed forces. Current hospital membership in the Greater Kansas City Health Council is preferred. The applicant must be currently engaged in management level, or be responsible for operation of some level of recognized healthcare recruitment program in that facility, or be a representative of the armed forces recruiting allied health professionals. With regards to hospital systems, each individual hospital must apply for membership and pay dues. Membership dues are $150.00 per year, which covers January 1st to December 31st. Applications should be submitted to the Treasurer of KCAHCRA. 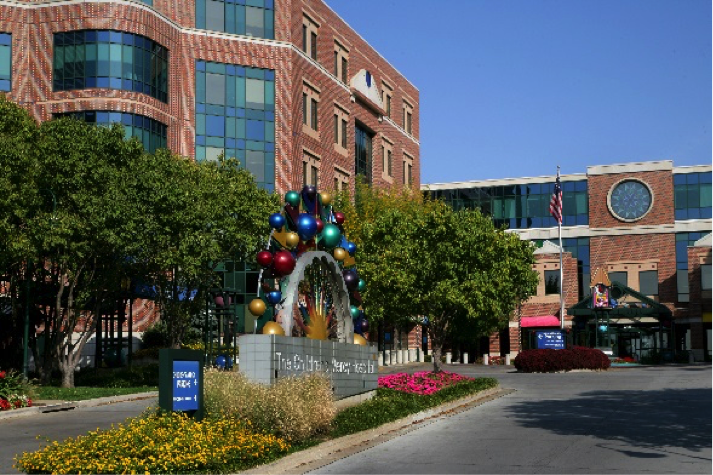 Children's Mercy Kansas City is nationally recognized for delivering high-quality, compassionate pediatric care. Kids come first at Children’s Mercy. Always have, for more than 120 years. Then their families. Our world-class child-centered approach and family-centered care comes to life in everything we do. At Mosaic Life Care, we are committed to providing the best and safest care, while creating a warm, inviting environment for our patients, family members and caregivers. Our innovative life-care model combines traditional health care and a focus on key life elements that affect overall wellness. Mosaic Life Care's service area is comprised of 41 counties in northwest Missouri, northeast Kansas and southeast Nebraska. Our hospital is located in St. Joseph, Missouri, and we have more than 60 clinical facilities in the greater St. Joseph area. Mosaic Life Care is the next generation of health care. Formerly Heartland Health and a recipient of the 2009 Malcolm Baldrige National Quality Award, Mosaic Life Care continues to be nationally recognized for quality, value and the patient experience. In 2015, Mosaic Life Care was named to the Truven Health AnalyticsTM 100 Top Hospitals® list, given an “A” rating by The Leapfrog Group, identified as a HealthStrongTM Hospital by IVantage® Health Analytics, named a “Most Wired” hospital by Hospitals & Health Networks magazine and is routinely identified as a Top Performer on Key Quality Measures® by The Joint Commission. More recently, Mosaic Life Care announced it has received the Healthgrades 2018 America’s 50 Best Hospitals Award™. Mosaic Life Care is a member of the Mayo Clinic Care Network, a carefully chosen group of like-minded organizations that share a common commitment to improving the delivery of health care in their communities through high-quality, data-driven, evidence-based medical care. As a member of the Mayo Clinic Care Network, our physicians have the opportunity to seek Mayo Clinic expertise through eConsults. By working together, we hope to build new and innovative ways to provide the best possible care. Mosaic Life Care: More than health care … life care. Founded in 1874 by the Sisters of St. Joseph of Carondelet, St. Joseph Medical Center has a long tradition of providing high quality, compassionate care. Its Catholic heritage and the spirit of our founding Sisters continue today in our mission of caring for the community. The Diocese of Kansas City-St. Joseph is the Catholic Sponsor for St. Joseph Medical Center, under the leadership of his Excellency Bishop James V. Johnston, Jr.
St. Joseph has proven it is among an elite group of providers in treatment for time critical diagnosis and has earned the Gold-Plus Quality Achievement Award from the American Heart Association/American Stroke Association for the treatment of stroke patients. It is also the first hospital in Kansas City to launch a comprehensive Senior Care service line including a senior friendly emergency room, senior focused inpatient program, an outpatient senior clinic that focuses on healthy aging as well as a preferred skilled nursing and assisted living network so if the need should arise, our seniors are well versed on quality options in our area. The Breast Center at St. Joseph has earned recognition by the National Accreditation Program for Breast Centers and Breast Imaging Center of Excellence designation from the American College of Radiology (ACR). 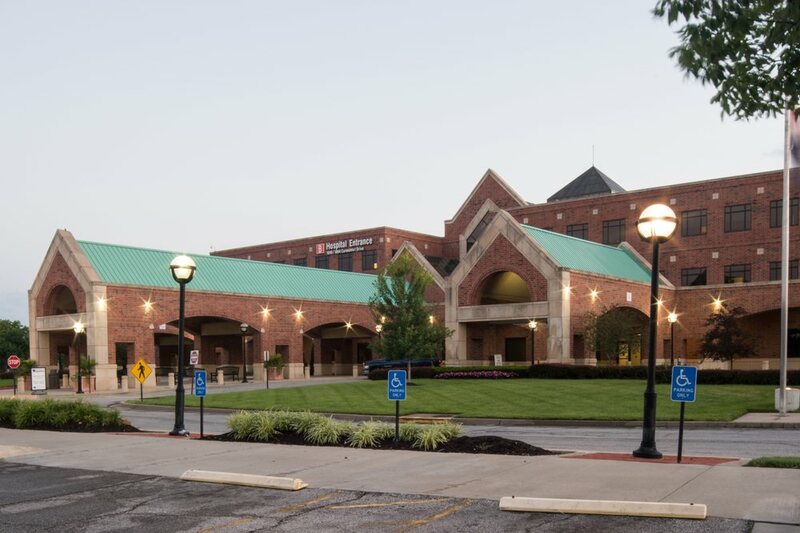 St. Joseph is a Joint Commission accredited, 310-bed acute care facility providing a wide range of services, including 24-hour Emergency Department, senior care services, surgical services, and outpatient services. St. Mary's Medical Center, founded by the Sisters of St. Mary, relocated from downtown Kansas City to Blue Springs, MO in 1981. The hospital was purchased by Prime Healthcare Services in 2015. Its Catholic heritage and the spirit of our founding Sisters continue today in our mission of caring for the community. St. Mary’s is a Joint Commission accredited, 146-bed acute care facility providing a wide range of services, including 24-hour Emergency Department, Joint and Spine Institute, Surgical Services and outpatient services. St. Mary’s is among an elite group of providers in treatment for time critical diagnosis and has earned several quality awards, including Top Performer on Key Quality Measures® by The Joint Commission and Get With The Guidelines® – Stroke Gold Plus Quality Achievement Award from the American Heart Association/American Stroke Association. 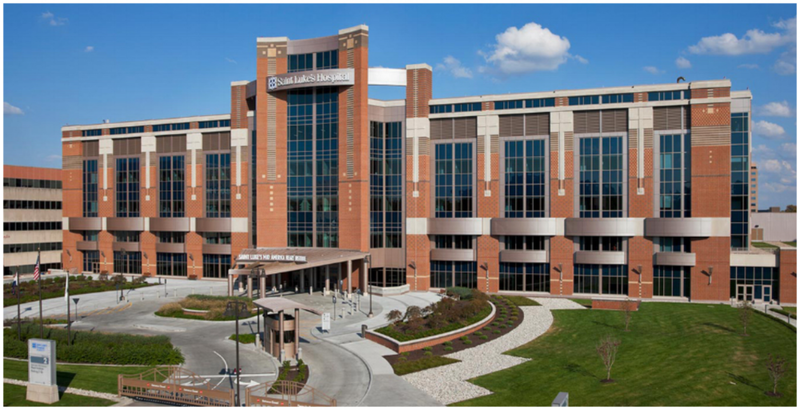 It is also recognized by the Joint Commission as a Primary Stroke Center and is a Certified Chest Pain Center. The Breast Center at St. Mary’s has earned recognition by the National Accreditation Program for Breast Centers and Breast Imaging Center of Excellence designation from the American College of Radiology (ACR). St. Mary’s Center for Wound Care and Hyperbaric Medicine is part of an elite group accredited by the Undersea and Hyperbaric Medical Society (UHMS). UHMS accredited facilities have met the highest standards of care and patient safety. Presently there are only 5 centers in Missouri that hold this accreditation. The University of Kansas Health System is the region’s premier academic medical center. Our physicians, nurses, and staff share a commitment to service, continuous improvement and patient care excellence. Dedicated to research and discovery, we achieve life-changing breakthroughs that benefit our patients first. The University of Kansas Hospital is recognized for quality. The Kansas City Area Health Care Recruiters Association represents a progressive network of leading healthcare employers, professional recruiters and institutional members connected to keep ahead of the trends in healthcare in Kansas City area.